I had a requirement to setup new SharePoint 2010 environment. After everything, created user profile service application to get users synced. Got "MOSS MA not found" error on adding a synchronization connection while configuring user profile service application. 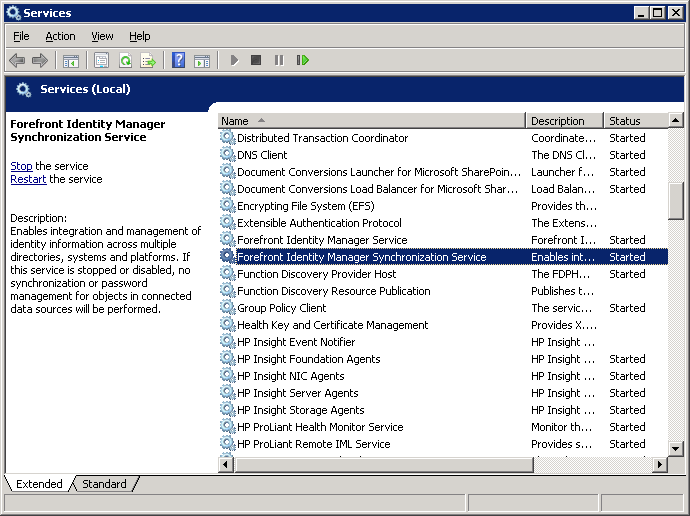 Go to Services Console (Start >> Administrator Tools >> Services) and then start these services. Restarting "User profile synchronization service" from SharePoint Central Administration, Services on Server page fixed the problem in an another case. Firewall - FIM service should be accessible via port 5725 on local machine.